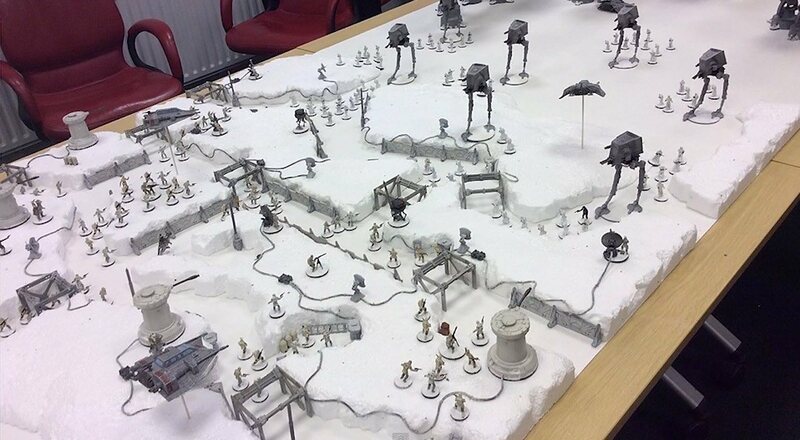 Game designer Grant Ennis has created Assault on Hoth, a huge game built with Styrofoam and a ton of Star Wars miniatures. If there's one thing the world of tabletop gaming has done right, it's produce some truly fun Star Wars games. 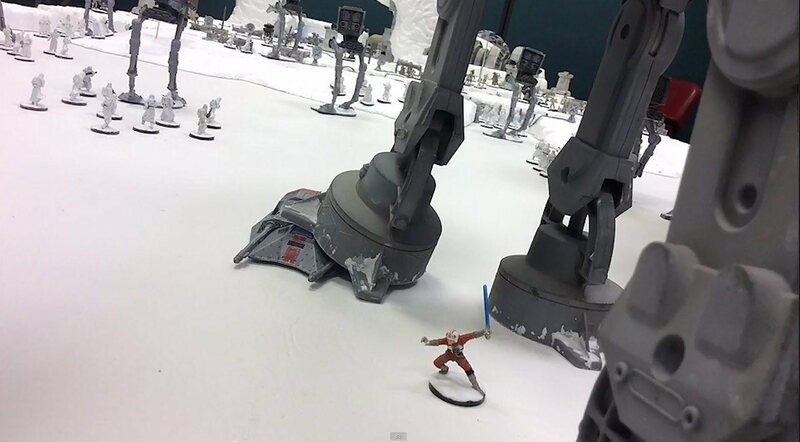 Whether you're talking RPGs or miniatures games there are ton of options out there for tabletop fans to take up with the Rebellion (or the Empire) and free (or conquer) the galaxy. As good as some existing games are however, the custom work of one amateur designer may have, in terms of scale, outdone them all. 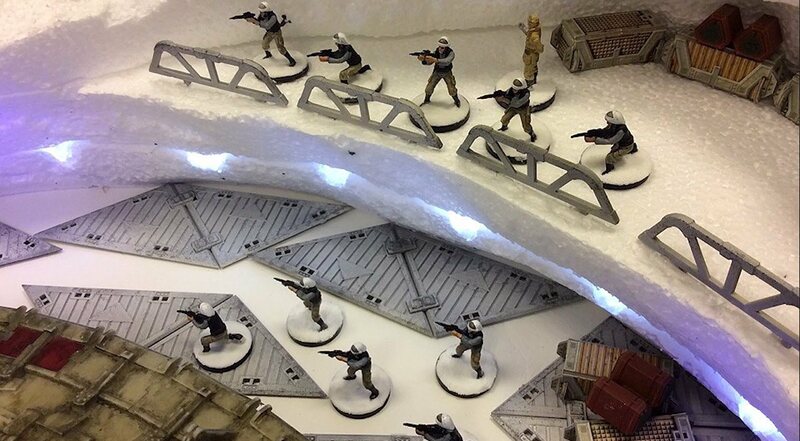 Working with tabletop website and YouTube channel Beasts of War, designer Grant Ennis created Assault on Hoth, a massive game aimed at recreating the Imperial attack on the Rebellion's Echo Base. 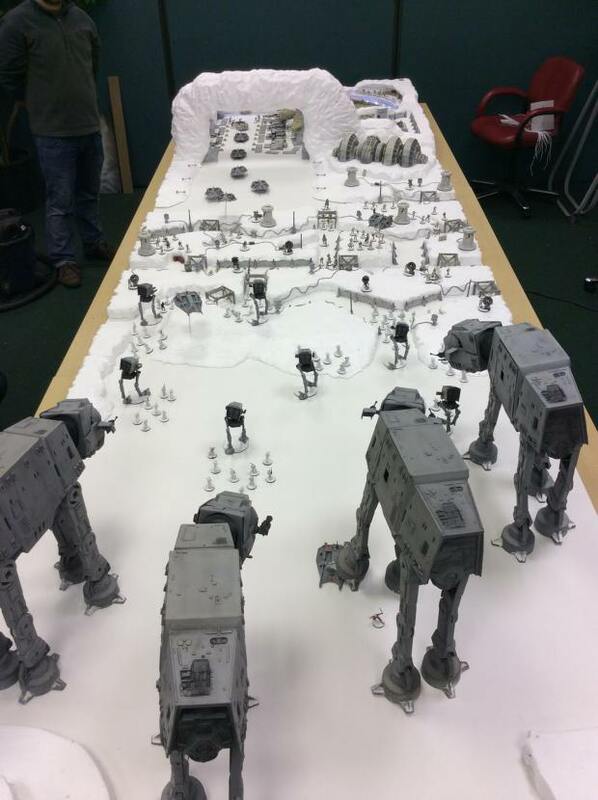 To make the game, Ennis and company crafted a custom-made modular battleground from Styrofoam. 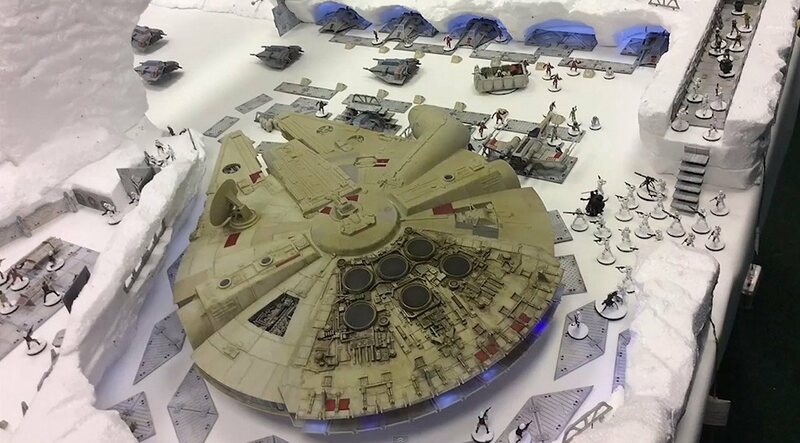 They then populated it with a variety of a Star Wars toys and miniatures which were split into 10 battle units; six for the Rebels and four for the Imperials. The game is designed in a "participation" style that uses simple rules to make it possible for players to hop in and out of the game with relative ease. 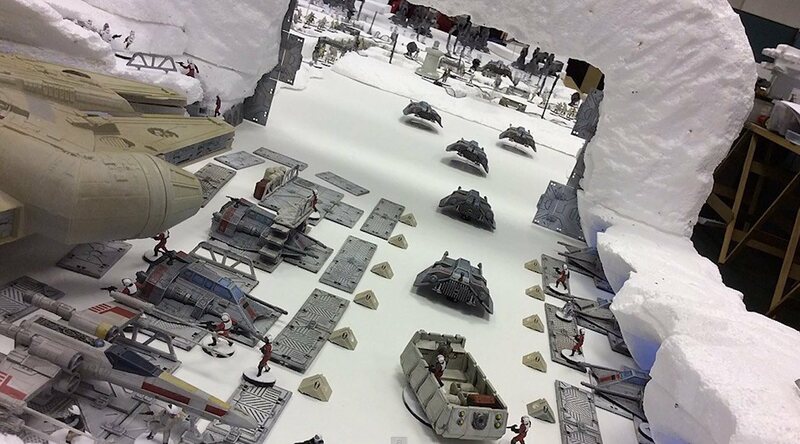 Sadly, being a custom game rather a commercial product, Assault on Hoth isn't something most of us will probably ever actually get a chance to play. That said, if you happen to live near London and are interested in giving it a try, Ennis's game will be debuted this weekend at the 2015 Salute gaming convention.